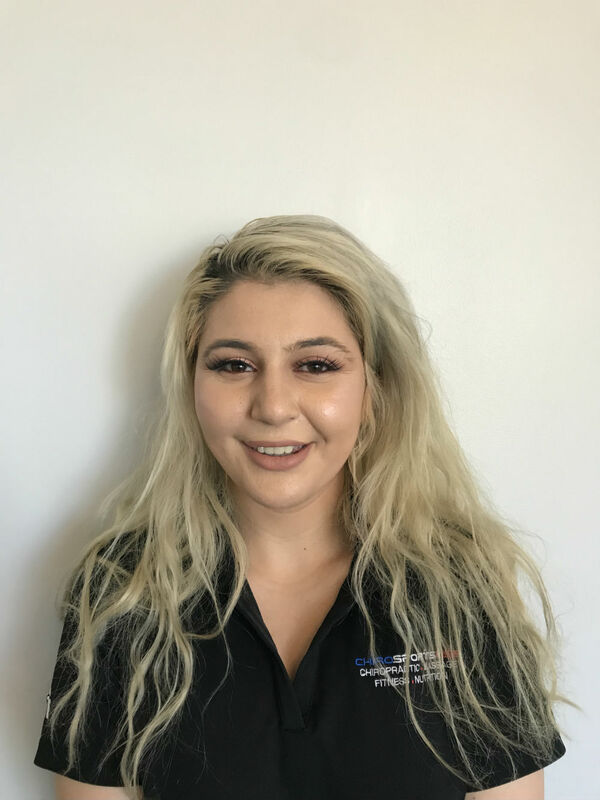 Christina graduated from James Logan High, attended Ohlone College, and has worked at the front desk for eleven years, and has been with ChiroSportsUSA for the past three. She works at the Union City location as the Clinic Manager. She assists with human resources, payroll, scheduling clients, and managing the staff. In her spare time, Christina enjoys spending time with her three kids, one grandchild, and another grandchild on the way. Around the office, she’s lovingly known as “mamabear”. Karen is currently studying Biology and Health Science at California State University East Bay. She loves meeting patients, networking, and creating valuable relationships with non-profits in the Bay Area. 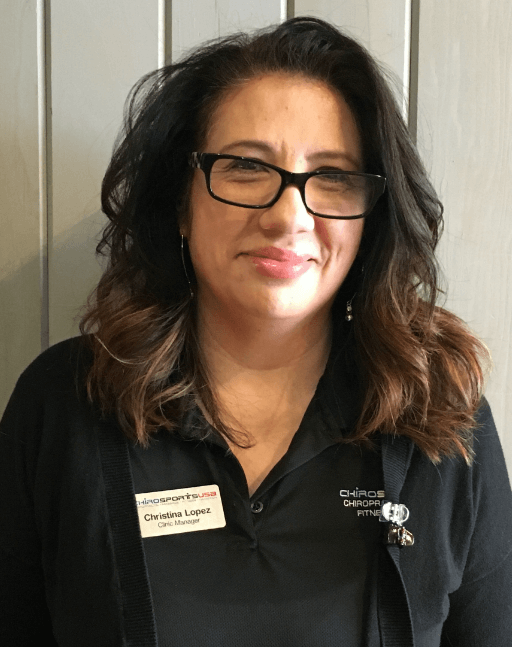 At Chirosports USA, Karen is in charge of managing our social media, planning events, and representing us in the Pleasanton and Dublin Chamber of Commerce. Her favorite part of being the Wellness and Marketing Coordinator is attending marathon runs across the Bay Area and making sure everyone stretches before the race! 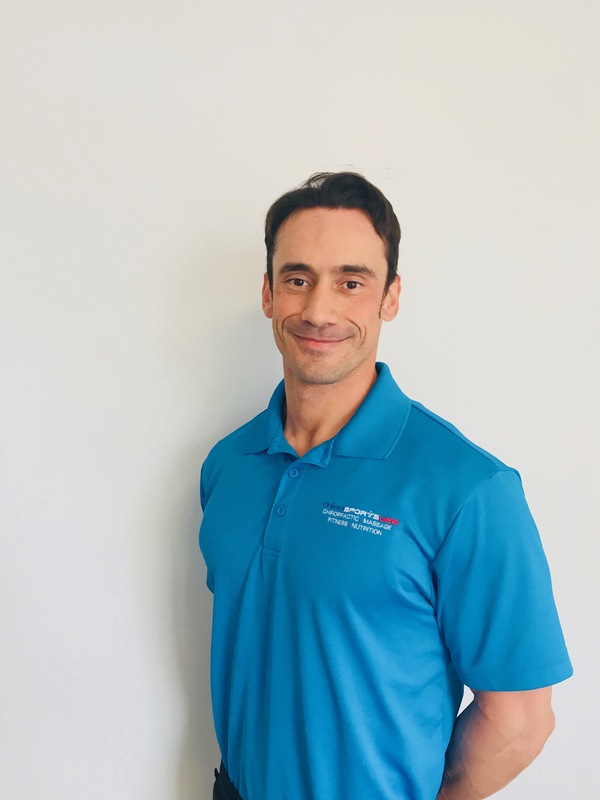 Mike has been a massage therapist since 2004 and is a graduate of Ashmead College School of Massage in Portland, Oregon. The intensive program from this accredited school demands over 800 hours of professional licensing training before a license is granted and he has maintained that license by participating in yearly continuing education seminars. Mike is also a member of the National Association of Massage Therapists and is certified by the California Massage Therapy Council. He loves his profession, as his intention is that the client leave his care, feeling better with each session, while promoting long-lasting relief from tension and pain with self-care. Mike enjoys doing chair massages at businesses and functions such as with Chirosports USA, and also, past ones such as Oregon Department of Human Services, Qualcomm, Teacher Appreciation Day, Nurses Day, and the Hood River Lavender DAZE Festival. In his spare time, Mike enjoys cooking, hiking, and spending time with family- especially his son. Angela obtained a diploma from Bryman College in the fall of 2005 for Massage Therapy. During this 720 hour program she was given the opportunity to study several massage techniques from her massage instructors. She is well on her way pursuing a double A.S. in Kinesiology at Ohlone Community College in Fremont, CA. 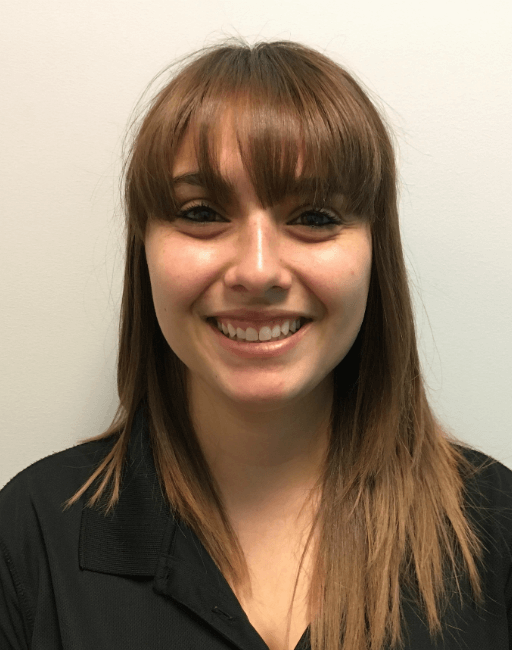 She has finished her core Athletic Training classes and hopes to apply for the Physical Therapy Assistant certificate program soon. She takes the extra time to get to know her clients and designs a massage plan to work on areas of complaint as well as other areas they might not have realized needed extra attention. She has worked on all body types from young athletes, stay at home moms, weekend warriors, the aging population, clients with Parkinson's Disease and Fibromyalgia, pregnant women, office workers, martial artists, headache sufferers, service men and women.Her main massage styles blend Swedish, deep tissue, trigger point, PNF and PNS. Rocco is A.R.T certified as well as fascial stretch therapy. He will be attending the University of the Pacifc to further expand his knowledge in Athletic Training. 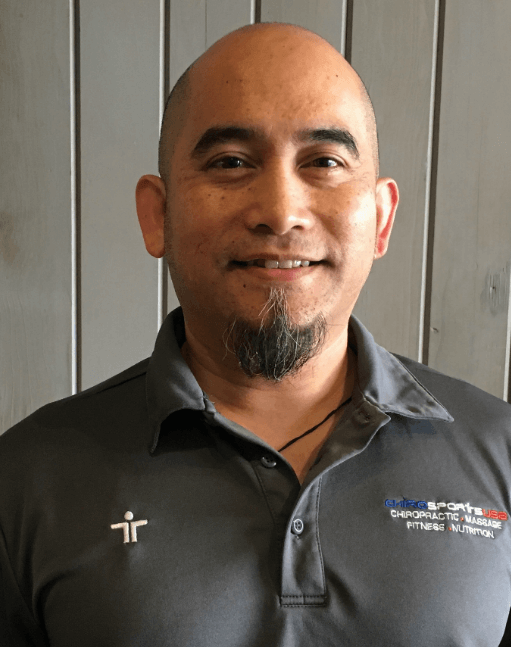 At Chirosports USA Rocco provides soft tissue therapy for the patients. He takes the time to get to know his patients so that he can individualize each patients session. In spare time Rocco competes in Body Building in the physique at the pro-level. He utilizes our Whole Body Cryotherapy to stay in tip-top shape. 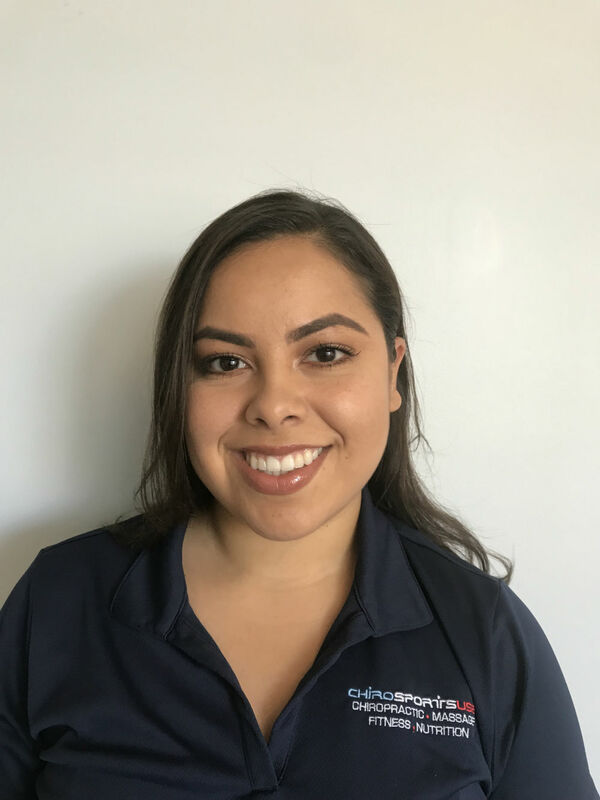 Miranda attends Cal State East Bay and studied Kineisology. 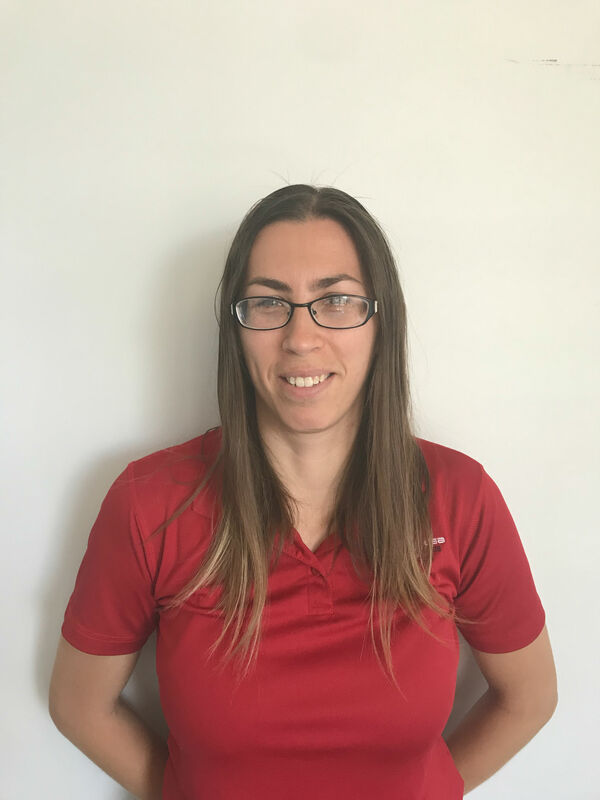 At ChiroSportsUSA, she is a chiropractic assistant and assists with modalities including the electrical stimulation machine, ultrasound, stretches, and exercises. She makes sure every patient is comfortable and at ease and listens to any concerns they may have. In her spare time, Miranda loves spending time outdoors, bowling, reading, and spend time with friends. David is currently studying at California State University East Bay as pre-medical student. In his spare time he also works in a research laboratory on the campus assisting various graduate students and professors with their projects. Outside of my classes I enjoy exploring the Bay Area and seeing all it has to offer. 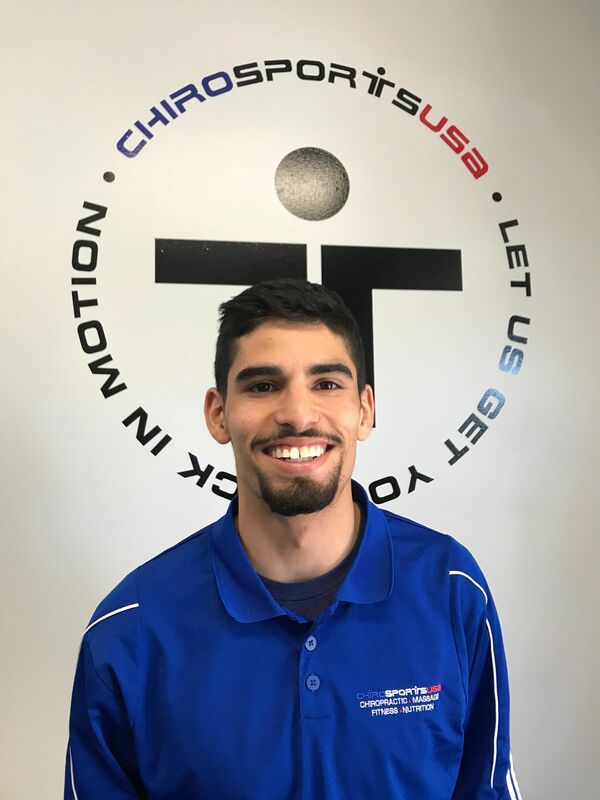 At Chirosports USA he is a chiropractic assistant and assists with modalities including the electrical stimulation machine, ultrasound, stretches, and exercises. He enjoys meeting patients and helping them improve their overall quality of life through Chiropractic treatments. Jonathan is currently studying Biology at California State University East Bay. He has a great interest in the human body and how Chiropractic services can improve overall quality of life. 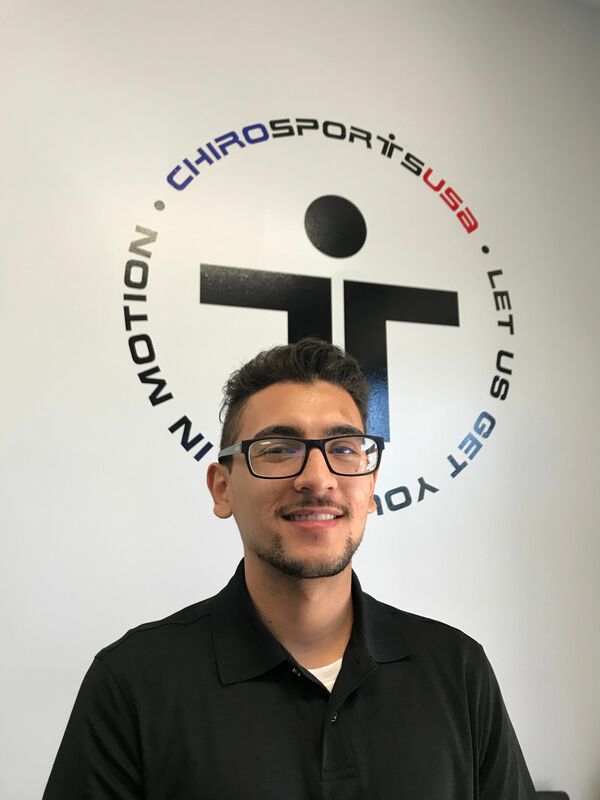 At Chirosports USa he is a chiropractic assistant and assists with modalities including the electrical stimulation machine, ultrasound, stretches, and exercises. Hosna recieved her Medical Assisting certificate at San Fransico State University. 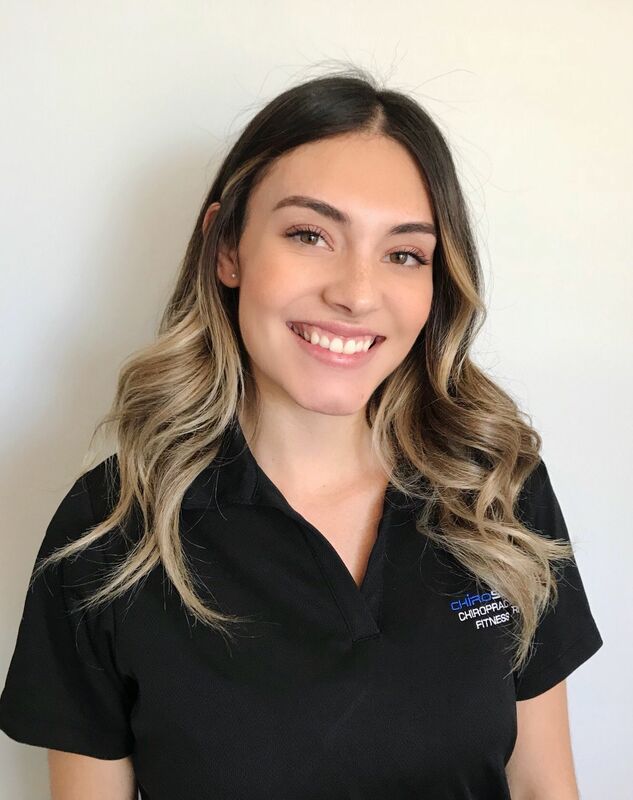 At ChiroSportsUSA, she is a chiropractic assistant and assists with modalities including the electrical stimulation machine, ultrasound, stretches, and exercises. She enjoys getting to her patients and making sure they feel at home.